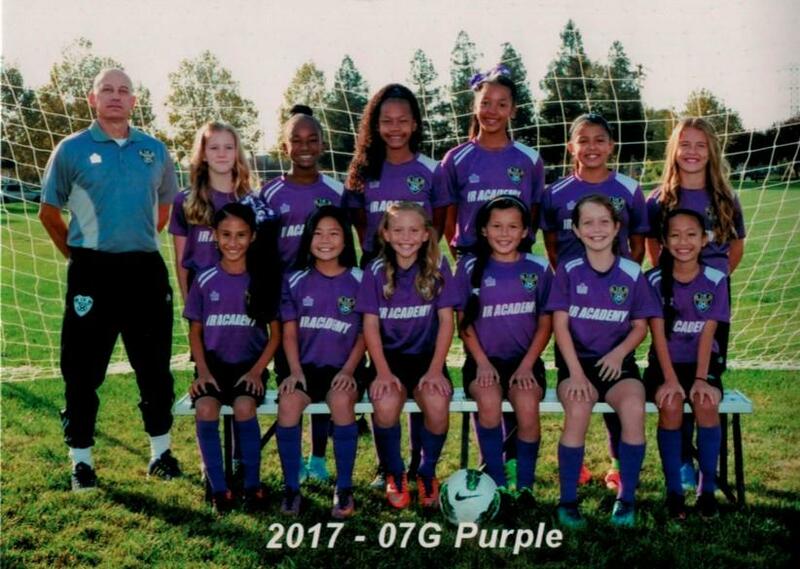 Elk Grove, California-based IR Academy's Under 11 competitive team, 07G Purple will for the second year in a row play for the NorCal Premier Soccer League Championship. The 07G Purple will play on Saturday, February 25 in Modesto against Stockton Storm FC Academy 07 Lightning. To qualify for advancement to the final four, teams play three round of games, after which they are re-ranked. IR Academy team beat Mustang 7G Elite 3-0 in the quarter final to reach the top four semi-final. Last year, the IR team lost to the Mustang team 0-1 in Championship Final. With an overall record of 23-1-4, the 07G Purple is coached by Kyle Crist, who helped found the IR Academy. This team is the oldest of the new IR Academy genertion of teams, a group of players and teams playing in Elk Grove for IR Academy. The team's success has not gone unnoticed. According to rankings from the website GotSoccer, the 07G Purple is ranked 8th nationally, and for what should make for a highly competitive match next week, their Stockton opponent is 6th in the same ranking. For the 2017-2018 season, IR Academy teams have finished with 2009 Girls ranked 7th in the State, 2008 Boys at 4th in the State, and the 2007 (birth year) Girls to play for the state championship. "I am extremely proud of the girls and proud to have the opportunity, again, to represent our Elk Grove community in the most significant game of the entire year," Crist said. "It is rare to make a State Cup Final in general, but to make it to the Final two years in a row is something very special and very rare, indeed; the girls are a unique and special group of young players." Next Sunday's match is at 10 a.m. and will be played at the Mary Grogan Community Park, Field 5 in Modesto.